Image: a formation divides the passage in two. Open: Palm Sunday to 14-MAY Sun 9-17. 15-MAY to 01-OCT daily 9-17. 02-OCT to 15-NOV Sun 9-17. Classification: Karst cave, horizontal cave, Malm. Guided tours: L=320m, D=30min., St=238, V=14,500/a . Leader: Klaus Rauschmaier, Siedlungsstraße 7, 72589 Westerheim, Tel: +49-7333-6406. 1470 first mentioned in the chronicle of Wiesensteig with the name Schretzenloch. 1754 mentioned in the chronicle of Westerheim with the name Kühloch (cow hole), which was used to throw away dead cattle. 1822 miners in search of coal visited the cave. 1860 a new leaser uses the cave as beer cellar. 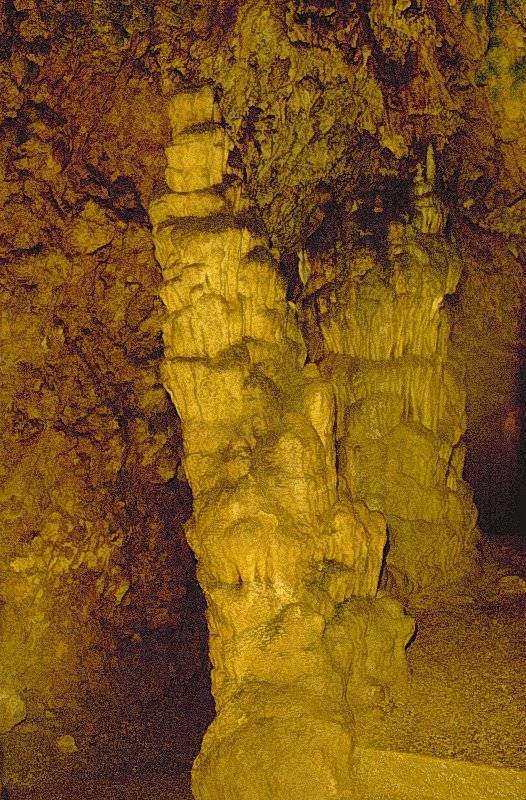 1900 foundation of the Westerheim chapter of the Schwäbischer Albverein (Swabian Jura Club), which takes care of the cave. 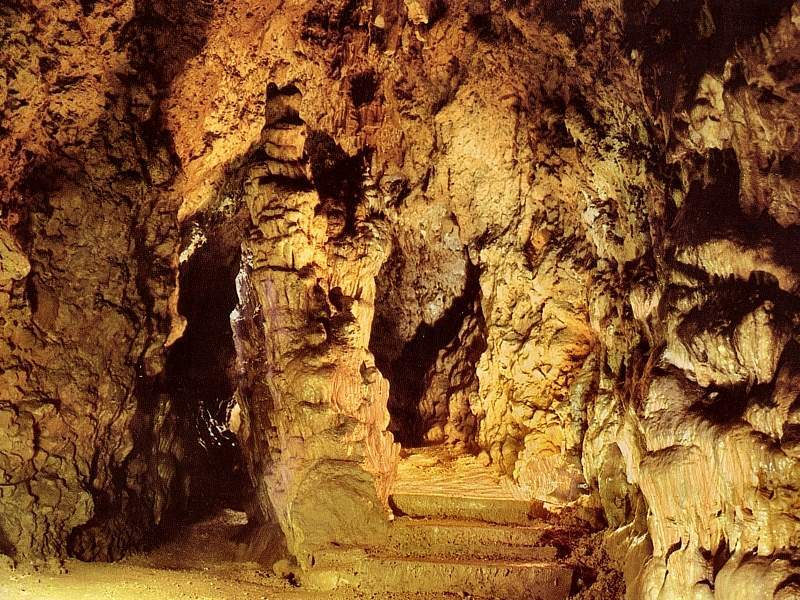 1902 paths developed.The cave is now lighted once a year. 1929 notary public Scheuffele from Wiesensteig and some other nature lovers built a 12.5 m long adit into the cave. 1952 Westerheim chapter of the Schwäbischer Albverein refounded after the war, reassumption of the cave supervision. 1955 further development of the cave. Image: at the end of the developed part. 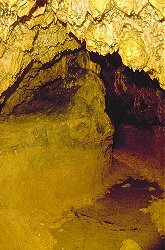 The Schertelshöhle is a single passage or tunnel, looking like a big L. The entrance to the cave is at the dogleg, by an artificial adit. The left wing is developed completely, the right wing has a 50m dead end which is not developed. 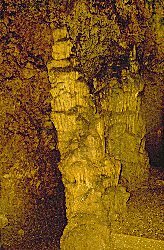 The Schertelshöhle is still very rich in formations, although much was destroyed during the centuries. A small gallery of curtains is played like a speleothem organ by the guide. Bild: the organ. © Höhlenverein Westerheim, with kind permission. 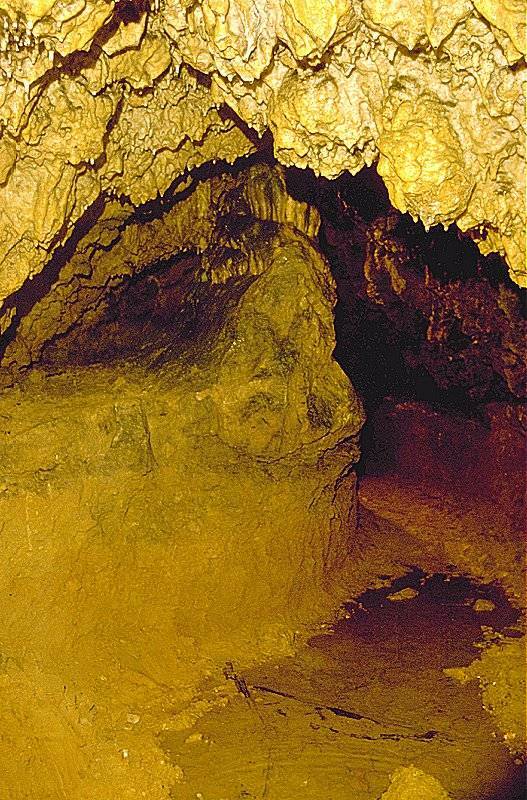 The cave was named after a legend about the Freiherr von Schertel. He was hunting in the forests around Westerheim, when his dog vanished. He searched for a long time, but then he heard a whining from a deep hole in the ground. He organized some men for help and he climbed into the hole, discovering the Schertelshöhle. This legend is definitely untrue, but it is still told. Another legend sounds much more unbelievable, but there is evidence for its (partly) truth. Around 1800 an outlaw called Schwarzer Vere (Black Vere) was notorious south of the Swabian Jura. He was known for being a thief and murderer, and it is reported he burnt down the farms of his enemies. The main reason for his dreadful reputaion was the fact, that nobody was able to catch him. Every time the persecutors thought they got him, he vaished. But one day his luck left him, he was captured and locked into the Ebinger Torturm (tower of the gate toward Ebingen) in Biberach an der Riß. There he was killed by a lightning during a tempest. More than 50 years later, a woman from Wiesensteig, who was in his gang as a young girl, told where he hid when he vanished so miraculous. We all guessed it: it was the sinkhole Kühloch (cow hole). But although the existence of the outlaw is recorded, he was robbing south of the Danube and it is not likely that ever visited Westerheim. Also, the deep and steep shaft is not very usefull to vanish fast and without a trace. It takes some time for a group of people to climb down safely. Nevertheless the story has some kind of logik. An outlaw, a man who was able to abandon the fears and obligation of his time and break the law could also have the courage to enter a cave which nobody else entered. 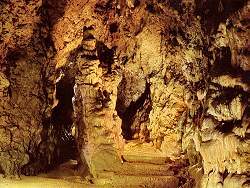 Nearby (300 m/15 min) is a small wild cave, which may also be visited, the Steinerne Haus (House of Rock).